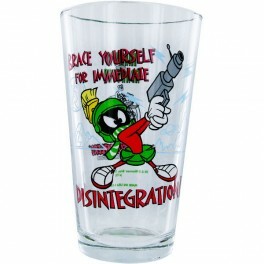 Marvin the Martian is angry again on this clear Looney Tunes glass that has the green-and-red alien threatening, "Brace yourself for immediate disintegration!" 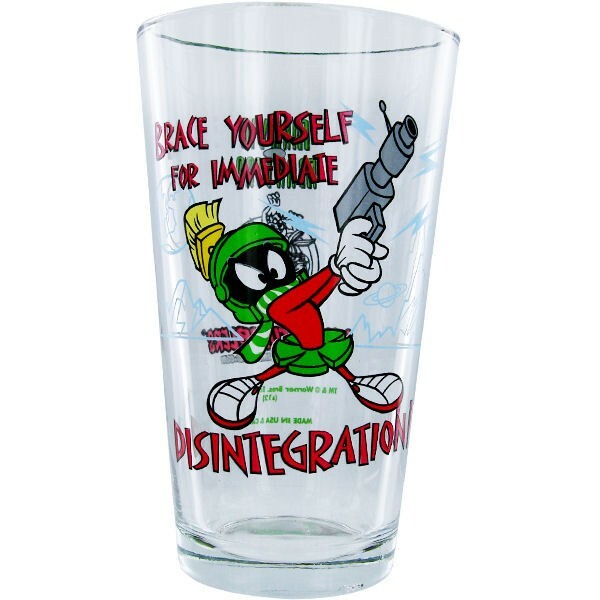 Marvin the Martian is angry again on this clear Looney Tunes glass that has the green-and-red alien threatening, "Brace yourself for immediate disintegration!" 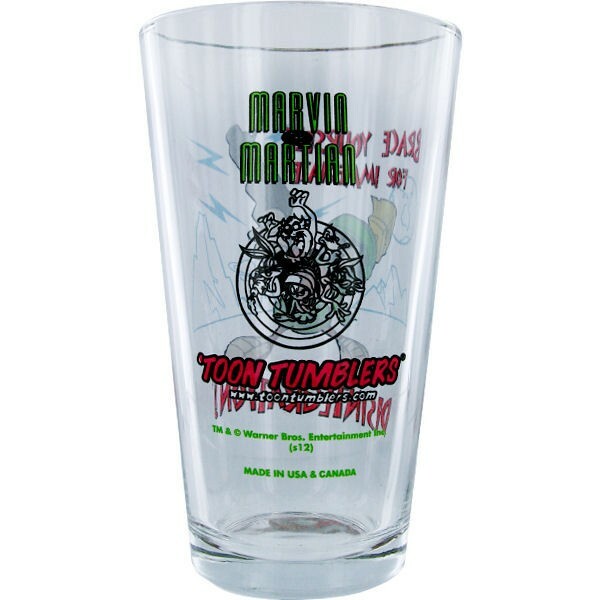 This glass is a 6-inch-tall pint tumbler and features the "Toon Tumblers" logo on the reverse side. 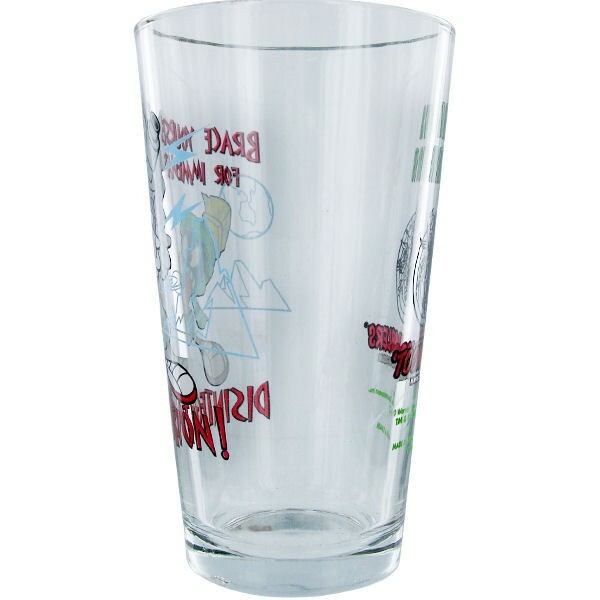 Toon Tumblers is a collection that's sure to bring a smile to your face as you sit down for a snack or a meal!